There is a new resource for parents, families and students as we continue to sift through news and information around education and learning concerns in Arizona. To help parents and community members understand the multitude of education concerns, we’ve created a one-stop information page with quick links to the resources parents need to help their children succeed in education. 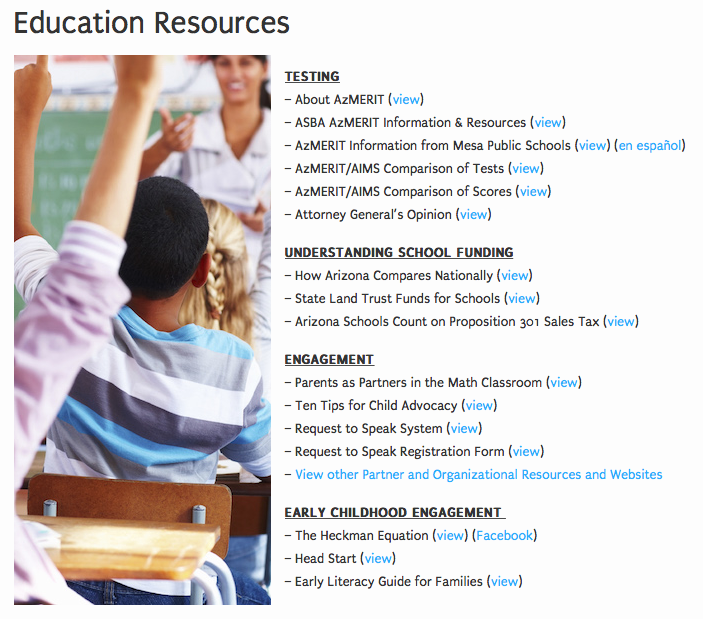 The page includes resources for testing measurements for Arizona standards, K-12 education funding proposals, engagement and opinions for all education concerns, and contacts and links for further questions or comments the community may have. You’ll be able to access our other partners and organizations, as well as local legislators! We look forward to your comments, feedback, or support of this new toolkit.